Welcome to the 38th issue of Aycliffe Today Business – the magazine for Aycliffe Business Park. This issue gets 2019 off to a flying start. As we look back on another eventful 12 months with our annual review – something that has become something of an Aycliffe Today tradition – there appears to be plenty left to look forward to in the future. And as we look ahead to another new year, it can only mean the awards season is fast approaching! On the cover of this issue, we feature Matthew Stiller, the third-generation of the Stiller family now running the well-known logistics company. 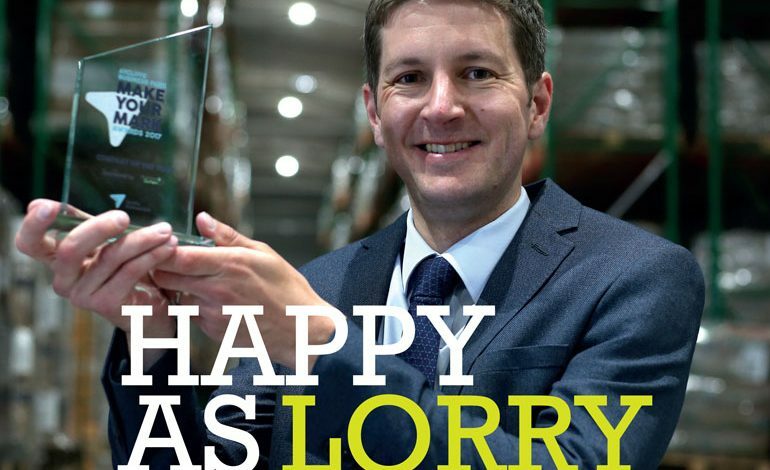 Matthew is talking up Make Your Mark, Aycliffe Business Park’s fifth annual awards event, after winning the Company of the Year category in 2018, and is encouraging firms of all sizes to enter this year’s competition. The awards ceremony is being held at the Xcel Centre on Wednesday May 1, but the deadline to enter is April 5, which will soon come around – so get your entries in quickly! You can read more on pages 18-19. Also in this issue, you can learn why Ebac executive chairman John Elliott, Roman managing director David Osborne, business advisor Pamela Petty and other experienced business leaders are offering 1-2-1 mentoring sessions as part of exclusive new workshops on offer to Aycliffe SMEs. You can also read an exclusive update on the Forrest Park development in this issue, along with news from the Aycliffe Business Park Community and its four new board members. This issue also features Hitachi Rail, Tekmar, Advanced Automated Systems, Driver Hire Darlington, Resolution Media and Publishing, Endeavour Partnership, Thrive Marketing, Finley Structures, Crafter’s Companion and South West Durham Training. And, as always, a massive thank you to all advertisers who continue to support Aycliffe Today Business and help us provide this valuable service to the North-East’s biggest business park. Despite the uncertainty around Brexit, and somewhat challenging times for some businesses, Aycliffe Business Park still seems to be buoyant. We look forward to seeing the park’s continued growth in 2019 and beyond, particularly with the development of Forrest Park, and hope we can all enjoy a positive year. Click here to read issue #38.